Lois E. Haber '71 is the co-founder and retired CEO and president of Delaware Valley Financial Services, Inc. (DVFS), a technology focused, leading third-party administrator to the industry of variable life insurance and variable and fixed annuities. 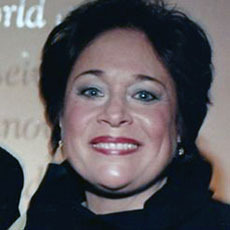 Haber emphasized customer service as a strategic marketing advantage for DVFS, negotiated client contracts with the nation’s largest life insurance companies, and oversaw information technology, the core of the company’s services, fiscal and human resource management, business recovery, and interactions with federal and state regulatory agencies. Working with leaders in both the insurance and financial services sectors (primarily Wall Street, regional broker/dealers, and financial planners), DVFS was instrumental in establishing national administrative standards for annuity processing and received the insurance industry’s most prestigious awards for quality service. In 2003, DVFS was sold to Allianz Life Insurance Company of North America, at the time the fastest growing provider of annuities in the country. Post retirement, Haber continues her role as mentor to former employees and CEOs of early and mid-stage companies. After a 13-year term, she retired from Arcadia University’s Board of Trustees, where she was active on the Finance and Investment Committees and on Academic Affairs. She also served a five-year term as Chair, becoming the first alumna to hold this position in the 150 year history of the Institution. She is a board member of AUI Fine Foods and a founding advisory board member of Capogiro Gelato Artisans. She is a member of the Committee of 200, an international professional organization of women entrepreneurs and corporate leaders. She was a board member and chair of the Center for Women’s Business Research in Washington, D.C., (formerly the National Foundation for Women Business Owners) and secretary of the Philadelphia chapter of the National Association of Women Business Owners. She has been an invited speaker at the University of Pennsylvania’s Wharton School, the Small Business Development Center, and the Johnson School of Management, Cornell University. She is a former member of the Girl Scouts of Southeastern Pennsylvania Advisory Council and has served on advisory boards of several other entrepreneurial and civic organizations. Haber has been honored by the National Association of Women Business Owners as Woman Business Owner of the Year, recognized as a Woman Making History, selected for Pennsylvania’s Honor Roll of Women, and one of Pennsylvania’s Top 50 Women in Business. She has been featured in several articles about entrepreneurship in local and national publications. Haber earned a B.A. from Arcadia University, along with CLU and ChFC designations from The American College.